The Budding Chef has been named one of Dr. Toy’s Top 100 Best Children’s Products of 2011. Recognized for its easy-to-follow instructions and easy-to-find ingredients, The Budding Chef joins this elite group of 100 wonderful new toys and products that meet Dr. Toy’s high standards for design, durability, price, quality, safety, and value. Dr. Toy compiles this list of children’s products each year in order to help parents and teachers select the right products to enhance play and learning. After an extensive evaluation of this fun and fascinating parent resource, Dr. Toy found The Budding Chef to match her stringent criteria for excellence. An introduction to cooking, The Budding Chef is filled with great ways for parents and their budding chefs to have fun together. Brimming with kitchen adventures, the recipes in this book are perfect for kids aged 3 to 6. The easy-to-follow instructions and easy-to-find ingredients help parents share their love of cooking in kid-friendly ways while creating special moments that they – and their child – will cherish forever. 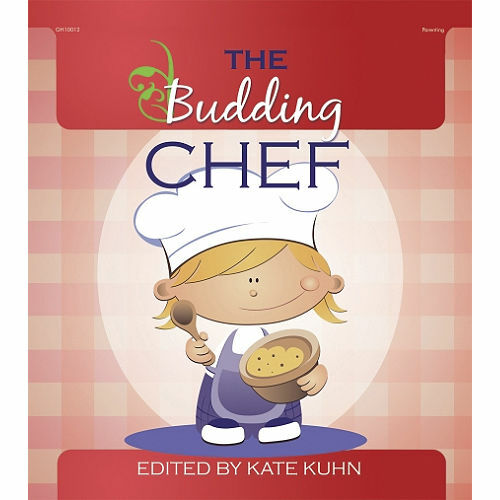 The Budding Chef ($9.95, 64 pages, paperback, ISBN: 978-0-87659-372-1) edited by Kate Kuhn is available from Gryphon House, Inc.
Gryphon House is an award-winning publisher of resource books for parents and teachers of children from birth through age eight. Developmentally appropriate and easy-to-use, Gryphon House books provide parents and teachers with the tools they need to bring the joy of learning to young children.